Moments ago, the first official full-length trailer for Pixar's insanely anticipated film, Inside Out, premiered on iTunes. The trailer highlights the inner workings of not only the emotions in Riley's head but also that of her Mom and Dad - which was a pleasant and unexpected surprise. While the emotions are the same (Joy, Anger, Fear, Disgust and Sadness) their physical appearance in the 'headquarters' are a bit different in mom and dad (shown below). 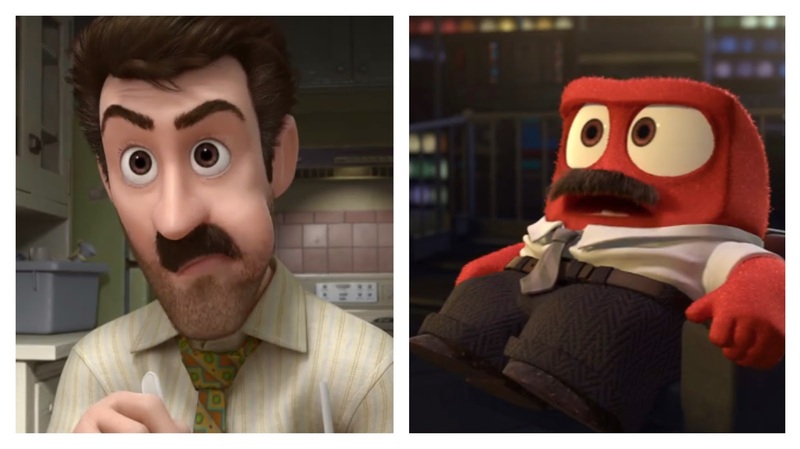 It was great to see the similarities, yet differences between the emotions (like the glasses on Mom and mustache on Dad's emotions). Check out the full trailer below on Pixar's YouTube page - or check it out directly on the Apple Trailers site. Additionally, we loved the viewpoint of the emotions while in the headquarters. 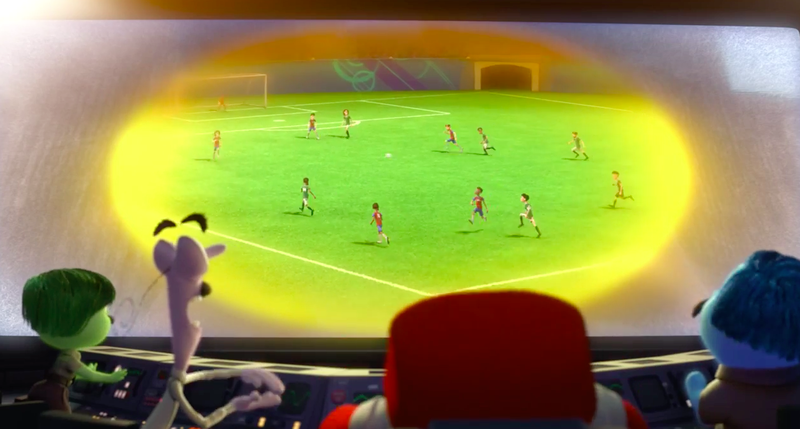 You can really see the incredible amount of detail that each department put in while creating this film - from the lighting, animation to the effects. It was also great to see how the memory orbs are viewed and we definitely chuckled when we were treated to the Brazilian helicopter pilot memory! 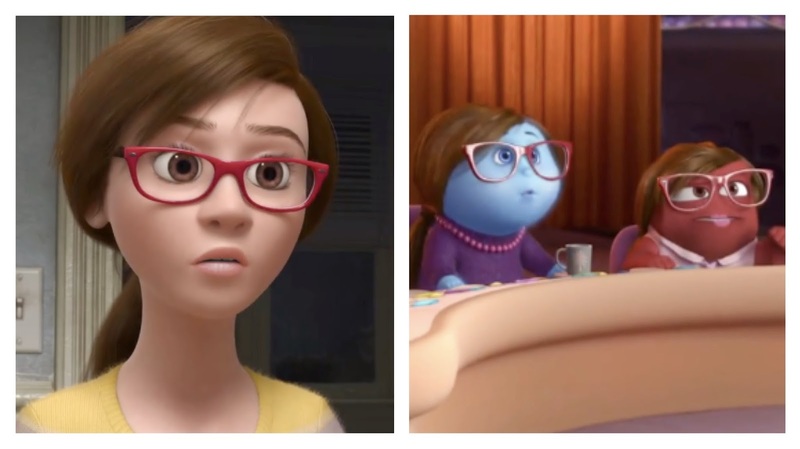 There are two different versions of the Inside Out trailer that was released today - one on the Disney UK Facebook page and one that was released on iTunes. 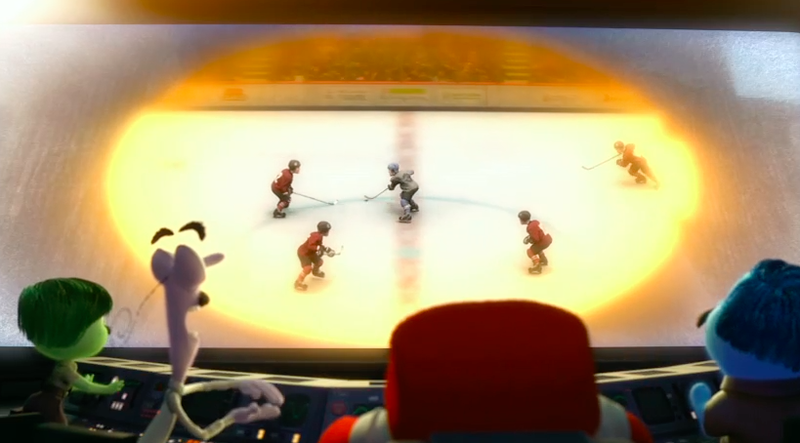 Well, in the UK version the dad is watching a memory of a soccer (football) game and the US version has him watching a hockey game - see below. Check out the full-length version of the UK trailer below. Now that you've seen the trailer, don't forget that Pete Docter will be participating in a live Question and Answer session on Twitter today as well - read our summary post for more details (we will update this link as soon as we post the article) as we'll be updating and summarizing Pete's answers from the session as well. Additionally, we're going to host a Live Google On Air Hangout this evening (December 10) at 10:00 PM EST / 7:00 PM PST to chat about the trailer as well as Pete's Twitter Q&A. Be sure to join us on Google+, YouTube or watch the streaming video below when the show starts.